“Taking things apart to see what made them tick.” That’s how it all started a long time ago. John Modesti’s favorite place was the auto repair shop, where he spent hours unlocking the mechanical mysteries that held him captive for hours. In 1970, Honda introduced their first automobiles into the U.S., although they had been building four cylinder water cooled sports cars in Japan since 1966, called the “S” series. At that time John worked in Bill Krause’s new car department as a mechanic and then became the service manager. John helped engineer lowering kits, Koni suspension systems, larger carburetion and custom exhaust headers, and he had a lot of fun at the slalom races. In 1972, John opened his first auto repair shop on 139th Street in Hawthorne, called Independent Honda Repair and J&J Performance Products. The auto shop built big bore kits, lighter rocker arms, exhaust systems, carburetion systems, oil coolers, ported and polished heads with larger valves using Sig Erskin cams and valve springs. Peterson Publishing wrote several articles about John’s shop, “From Mouse to Muscle Cars,” along with “Trick Suspension”, which gave John’s shop nationwide publicity. That helped to start the business growing. The shop also serviced Honda motorcycles and Honda cars, which eventually led to us opening our second shop. 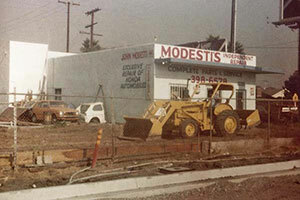 In 1975 we moved our shop to Culver City across from our present location. We only had floor jacks to raise the cars and a creeper to crawl under them. 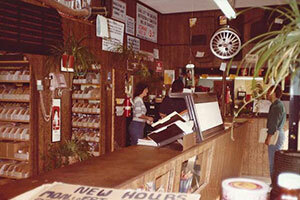 In 1976 we hired our first full time mechanic and continued to grow. We installed our first two lifts and built a building over them in 1978. That same year we also became incorporated, and since we wanted to concentrate on the service and repair of Honda cars, J&J Performance Products was phased out. 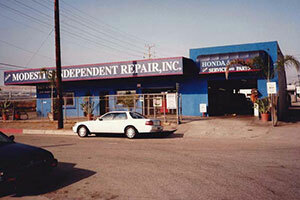 Our auto repair shop is furnished with state of the art equipment. 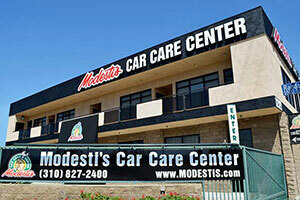 We have excellent diagnostic and repair skills and our work is performed with honesty! In 1991 we started planning an expansion, and in 1996 we finally went into escrow for the property directly across the street from our then existing location. It took several years to obtain all of the necessary permits and financing to make this dream a reality. It has always been our goal to maintain 100% satisfaction with our clients. We continue to teach our employees the value of doing business in a manner that will achieve satisfaction. The company’s policy is to never compromise our integrity in parts or service or in any other way. We firmly believe that honesty is the best policy, and there is never any excuse to run an auto repair business otherwise. Our goal is to create an atmosphere where our clients feel welcome and where they are given the best service and repair possible!